he Niagara 5000 features our patented AC Ground Noise- Dissipation System, the widest bandwidth-linearized AC filter in the industry, and our unique passive/active Transient Power Correction Circuit. Boasting an instantaneous current reservoir of over 90 amps peak, the Niagara 5000 is specifically designed for today’s current-starved power amplifiers. Many AC power products featuring “high-current outlets” merely minimize current compression; the Niagara 5000 corrects it. Though it’s easy to tout a given technology, it’s quite another thing to create a solution that is consistent, holistic, functional, and that honors verifiable science. It’s not enough to reduce AC line noise and its associated distortions at just one octave, thus leaving vulnerable the adjacent octaves and octave partials to noise, resonant peaking, or insufficient noise reduction. Consistency is key. We should never accept superior resolution in one octave, only to suffer from masking effects a half-octave away and ringing artifacts two octaves from there. This is the principal criterion for AudioQuest’s Low-Z Power Noise-Dissipation System. 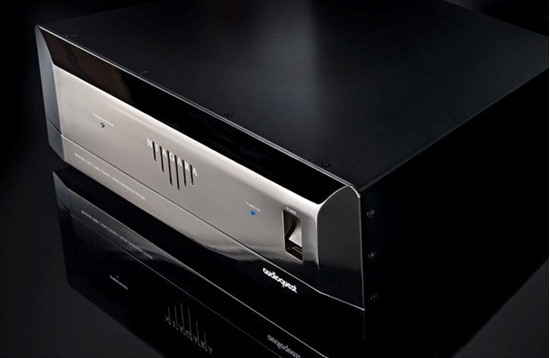 The Niagara 5000 represents over 20 years of exhaustive research and proven AC power products designed for audiophiles, broadcast engineers, and professional-audio applications. Every conceivable detail has been addressed: In the Niagara 5000, you’ll find optimized radio-frequency lead directionality, capacitor run-in forming technologies developed by Jet Propulsion Laboratories and NASA, and AC inlet and outlet contacts with heavy silver plating over extreme-purity copper, assuring the tightest grip possible. Surge Suppression: Non-sacrificial (nothing to damage with repeated 6000V/3000A input surge tests, which is the maximum that can survive through a building’s AC electrical panel). Extreme Voltage Shutdown Voltage: 140VAC (will activate the main high-current relay to open within less than 0.25 second; automatically resets once the incoming power is within a safe range). Common-Mode Noise Dissipation: In excess of 30dB from 20kHz to 100MHz, linearized for dynamic (rising) line impedance with frequency (source) and 10 to 50 ohm load, system current dependent. Input Current Maximum Capacity: 20 amps RMS (total). Ultra-Linear Noise-Dissipation System AC Power Outlet Banks: 4 Isolated groups – total (bank three through six). Number of AC Outlets: 12 (4 High Current/Transient Power Correction; 8 Ultra-Linear Noise Dissipation System Power).